A new platform has been created with the potential to extract tiny circulating biomarkers of disease from patient blood. This simple, fast and convenient technique could help realize liquid biopsy diagnostics, which is a less invasive procedure than the current gold standard tumor biopsies. Extracellular vesicles are cell messengers that can be found in the blood. In cancer, cardiovascular and blood diseases, vesicles transport specific disease-related molecules (biomarkers) that can be used to diagnose these diseases. However, it is difficult to isolate vesicles from blood, because they are miniscule particles, only 30 nm -1,000 nm in size. Image: The μCENSE chip with the benchtop centrifugal platform in the background (Photo courtesy of Dr. Joo Chuan Yeo, PhD). Scientists at the National University of Singapore (Singapore) utilized a microfluidic centrifugal technique, where a spinning rotor generates pressure, forcing the patient's blood sample to flow through microscopic channels of a specially designed microfluidic chip. The centrifugal platform utilizes a gentle and efficient size-based separation without the requirements of syringe pump and other accessories. A biological sample is first added to the chip's inlet, and then the chip is placed into the centrifugal nanoparticle separation and extraction called the μCENSE platform. The μCENSE is then loaded into a standard laboratory benchtop centrifuge and spun. It takes less than eight minutes for the blood and vesicles to separate, and the extract can be removed from the chip outlet. This is a hundredfold faster than the high speed ultracentrifugal method that has been used in the past. The μCENSE platform was designed to increase the external force field within a smaller radius, minimizing the centrifugal force and time requirements. Once isolated the vesicles molecular content can be tested for certain biomarkers of disease. 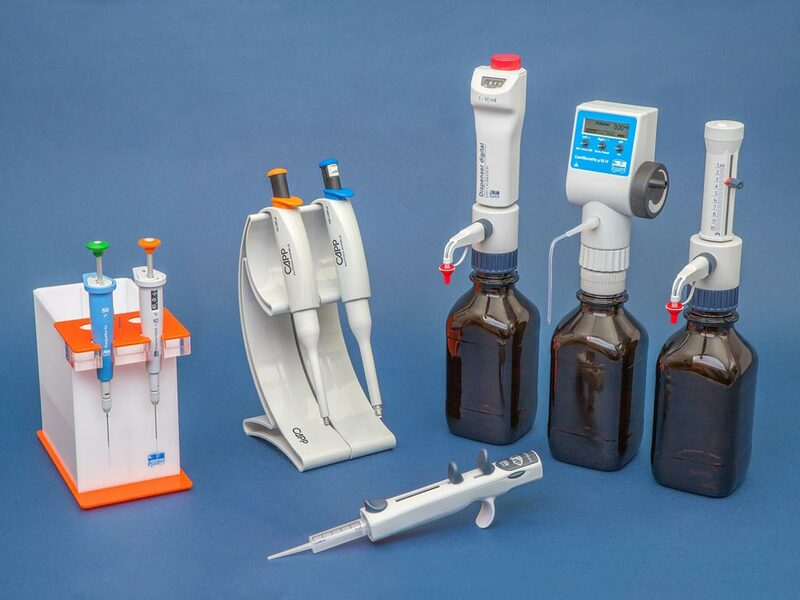 This process includes examining the nucleic acid and protein content. For this study, the group successfully demonstrated that the μCENSE was capable of separating and enriching vesicles from liquid medium exposed to cells grown in a laboratory, by showing that the protein biomarker for vesicles, CD63, was present. The team reported a high separation efficiency of 90% and an extraction purity of 85% within a single platform. The μCENSE platform is highly versatile for multiple microscale manipulations, as the microfluidic chip can be redesigned for the nanoparticle that needs to be extracted. 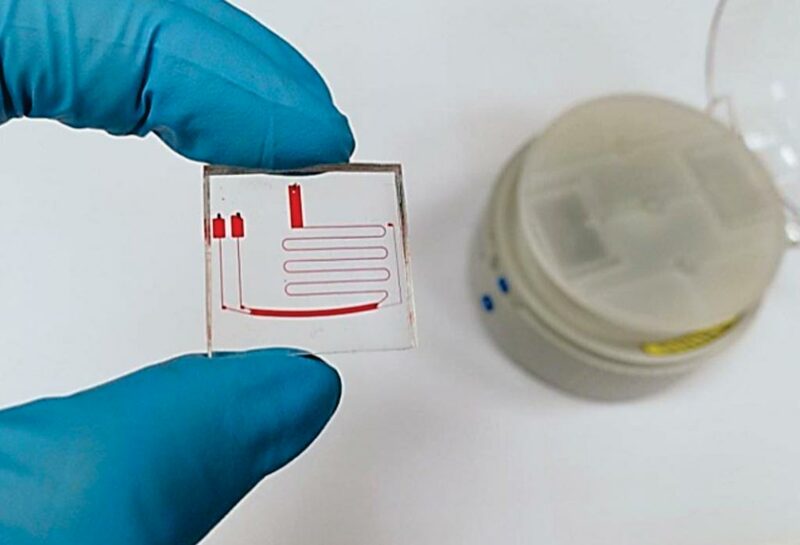 Chwee Teck Lim, PhD, a professor and the lead investigator of the study, said, “As we spin the microfluidic chip, the sample in the inlet starts to migrate or move into this curved channel. Once there, the centrifugal forces start to separate the smaller vesicles from the larger particles, because the forces acting on the different sized vesicle are different. So, as they move from inlet to outlet, they start to separate into different zones. The smaller particles remain near the inner wall of the channel and the larger particles move towards the outer wall of the channel, and this separates them into two outlets.” The study was published in the March 2018 issue of the journal Biomicrofluidics.